To Launch the opening we are teaming up with Geelong Revival Motoring festival to host the inaugural Cocktail Party, The will bringing all motoring enthusiasts together for an evening of good, old-fashioned fun. 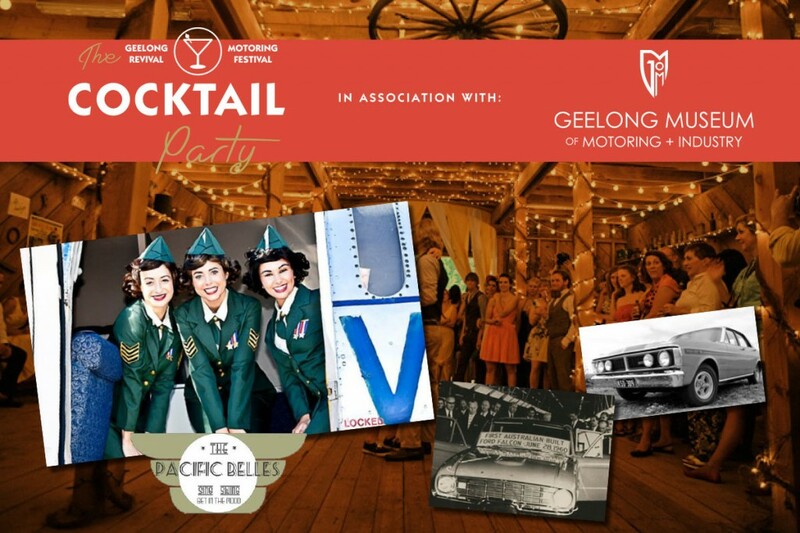 Located at in the museum new location of the old Federal Mills North Geelong guests will be treated to an impressive display of vehicles and artifacts and Australia’s hottest retro singing trio, The Pacific Belles. The vintage theme of the event will be taken to a whole new level, as guests are asked to step back in time dress in period costume. The night will also feature a silent auction, with some great items up for sale. All proceeds will be going towards the Geelong Museum of Motoring. Topped off with local food and wine, this event is sure to be the biggest and best nostalgic motor racing party of the year.